People unwittingly open themselves up to supernatural/paranormal activity all the time, most often through very innocent means. 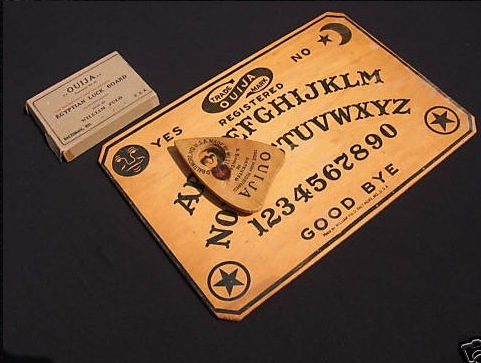 One of the most common ways this occurs is through the use of Ouija boards, tarot cards, or other instruments of divination. When the spirit world finds an individual who is curious about and interested in things relative to the supernatural, they are all too happy to oblige. Usually, the experience starts out harmless enough. But over time the spiritual manifestations and oppression can get worse and much more intrusive. MOST OFTEN THE END RESULT WILL ACTUALLY WIND UP BEING FULL-BLOWN DEMONIC- POSSESSION! I met a man in New York about 15 years ago named Paul. He lived, as I did, in Brooklyn. Paul was a gentle, quiet, very well spoken and articulate, attractive guy of Jamaican decent who had lived in the United States for a number of years. He worked in the computer industry. He was a very logical and methodical thinker who relied heavily upon reason. He invited me to his home one night for dinner. I had never been to his particular neighborhood before. He had a very nice apartment on the third floor of a three story building on a major avenue in the heart of Park Slope, one of many Brooklyn neighborhoods. The ground level was home to a pizza restaurant. There was an apartment on the second floor, and then his apartment on the third floor. His apartment consisted of a very large main area which served as a living and dining area, with the kitchen off to the side at the rear. There were two bedrooms side by side at the front of the apartment facing the street. The bathroom was close to the kitchen and directly adjacent to the front door of the apartment. During dinner Paul mentioned that there were a few things that he was needing to do around the apartment, but his roommate was out of town, so he had to wait to get these things done. I asked him what kind of things. He indicated that he wanted to change his bed linens, but needed help flipping his mattress before putting the new linens on. He also wanted to rearrange his living room a bit. He used two of the three-fold screens that are commonly used today for decoration, but were used years ago as a means of providing privacy when folks were needing to change their clothes. Modesty screens. They consist of three panels, each about six feet high and 18 to 24 inches wide, and hinged one to another so that they can be placed in any number of configurations. I offered to help him do these things while I was there. So after dinner I helped him get these two household errands done. Before going to his bedroom to help him strip his bed and turn the mattress, I had to use the restroom. As I closed the door to the restroom, I noticed that the door sealed very well. The room must have been air tight as you could feel the vacuum sensation as you pushed the door into the closed position. There was no exhaust vent. As I sat in the restroom, I noticed that the shower curtain began to move as it if it had a fan blowing on it. There was absolutely no air current or air movement that I could feel in any way. I began to inspect around the bathtub to see if there might be some way that air was moving this curtain in this windowless bathroom, but I couldn’t find any explanation for the curtains’ movement. I began to feel this sense that something spiritual was telling me that it did not want me there. It was trying to intimidate me into leaving the house. As I left the bathroom, the shower curtain stopped moving. Paul and I decided to rearrange the living room area first. We moved each of the two oriental screens that he had been using to divide the living area from the dining area. They would still divide the two areas, but instead of being on either side of the room, leaving an opening at the center through which to pass between the two areas, we placed them together, so that the there was one continuous wall of screens that ran from one wall to the right over toward the left wall, but leaving an opening between the end of the screens and the left wall through which to pass between the living and dining areas. We also moved the sofa, chairs, and coffee table, side tables, lamps, etc. The room looked great and seemed like it would be more functional and comfortable. We then went into the bedroom to change the linens and flip the mattress. As we worked, I spoke with Paul about what I had experienced in the bathroom, asking him if he had ever experienced such a thing. He indicated that he had not. I explained to him that I had the ability to discern spirits and that I could literally feel something in the bathroom trying to intimidate me and push me to leave the house. He was, understandably, shocked. Having been raised Catholic, he had never heard of such thing. I am sure I sounded crazy to him. That is, until we walked back out in the living room! As we finished up our task of flipping his mattress and making his bed, we headed back to the living room. To our amazement, the living room screens had been returned to their former position! All the windows were closed and there weren’t any ceiling fans or air conditioning running. Paul tried to rationalize how these screens had moved, but he could not fathom any reasonable explanation. I began to question him about some things, explaining to him that a spirit must have a door opened to it before it can attach itself to anyone in any way. I asked him if he had ever hired a medium or psychic. He said “No.“ I asked him if he had ever engaged in witchcraft or the occult. He answered, “No.“ I asked him if he had ever tried to use tools of divination, such as a Ouija board or tarot cards? BINGO! Paul had been raised by his grandmother. He called her “Mom.“ She had died about ten years earlier and his roommate suggested one night that they try to communicate with her using a Ouija board. I explained to Paul that this was the way in which he had unwittingly opened the door to this spiritual activity. He had never even seen any manifestation, as of yet, of the presence of these spirits. It wasn’t until I showed up in his house that they immediately felt threatened and began to manifest themselves in an effort to scare me off and intimidate. But I don’t scare easily and intimidation only works on those who do not know the power of God and the authority they possess through the name and revelation of Jesus Christ! So Paul reluctantly admitted that something must be going on. He didn’t know what to do. I explained to him that I would be happy to perform an “expulsion.” This a term I coined many years ago. An expulsion is when you drive out demonic forces which are oppressing an individual, but appear to be operating through a place, like his home, rather than through him personally. He wasn’t possessed by a spirit, but he obviously had one (or more) attached to him and his home. He agreed to let me do this while he was at work. He was actually afraid to be there for the actual expulsion process. I stayed the night with him at his house so I could perform the expulsion while he was at work. The next day, after Paul had left for work, I went through the apartment and performed the expulsion as I always have. 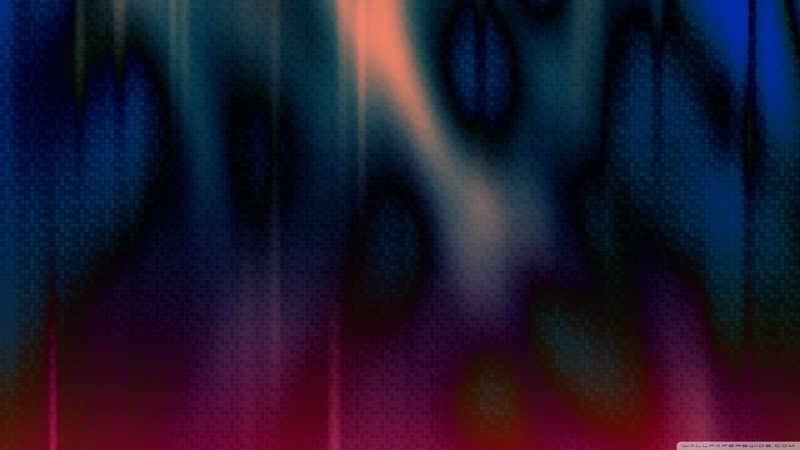 As I was anointing the walls and doors I kept hearing what sounded like a variety of voices, male and female, speaking directly into my ear the name, “Sam.” Over and over again I kept hearing, “Sam, Sam, Sam, Sam, Sam, Sam, Sam, Sam…” It was an attempt by the spirits to intimidate and distract me. I did not allow it to work. When I finally got to the very last step, where I open the door and command the spirits to leave, I literally could feel three spiritual entities brush past me as they exited the house. I immediately discerned some things about these spirits, and how they had represented themselves to Paul and his roommate. Two represented themselves as men, one represented itself as a woman. The one claiming to be a woman said she had died in a fire which occurred in that very building some years before. When Paul arrived at home, I had plenty of information for him. When Paul arrived at home he asked me, “So how did it go?” I immediately began to expound upon my experience and newly discerned knowledge. I first indicated to him that I had sensed three very specific spirits. Two claimed to be men, and one claimed to be a woman who had died in a fire at this location. He told me that he was in fact the first person to occupy that apartment since the building had been renovated after a fire. He had been told that a woman was supposed to have died as she leapt out the window in fear, trying to escape the flames. I explained to him that unclean spirits will use circumstances like this to try and add validity and a human face, of sorts, to their presence. They are not, in fact, the people they represent. I explained my experience while performing the expulsion, and told him how that spirits work with a type of hierarchy which the Bible refers to as principalities. Usually, they will start of with smaller, weaker, lower ranked spirits. When the door has been sufficiently opened, a “strong man” or higher ranking, more powerful spirit will then come on the scene, and 98% of the time, you won’t hear from the lower ranking spirits again. When I asked him who in the world “Sam” was, his jaw dropped and he said, “I can’t believe this! I have to call my roommate.” So before he even answered my question, he called his roommate, who was vacationing with family in California and asked him some questions relative to their experiences while using the Ouija board. When Paul got off the phone, he was ecstatic. He began to explain that he and his friend had used the Ouija board to try and communicate with his mom, but that instead, they wound up talking with a spirit that identified itself as a guy name Joe who supposedly had worked on building the Brooklyn Bridge, which wasn’t too far away. The second spirit they spoke to denitrified as a woman named Eve, who had supposedly leaped to her death from that very apartment during the fire several years earlier. The building had sit damaged for many years, before the current owner, the pizza man on the first floor, bought it and renovated it, renting Paul the third floor apartment. What really got Paul’s attention however, was the fact that the third spirit they spoke to called himself Sam, and once he began communicating with them, the other two never again were able to communicate with them. Sam kept promising he would eventually allow Paul to speak with his mother. I had told Paul the night before that he needed to remove and destroy the Ouija board, so he put it in a storage compartment that was outside his apartment in the hallway, until he could properly dispose of it. After I had performed the expulsion, Paul went back to the closet to hang up his coat, where he had been keeping the Ouija board before putting it out in the hallway the night before. The board was right back where he had taken it from! We immediately took it to the roof of the building and destroyed it properly. Human beings do not realize just how easily they can open doors to demonic spirits. Curiosity and experimentation relative to things supernatural and paranormal are the two most common means whereby this occurs. This is why I believe that the young people who head up these paranormal TV shows are setting themselves up for some very serious trouble. They do not have any idea as to what they are dealing with and believe all the lies these spirits tell them. They do not properly qualify their clients so as to determine how a door might have been opened to such activity. And most importantly, they do not approach these matters with faith and a confidence in the name and revelation of Jesus Christ. It is a volatile and dangerous mix of ignorance and curiosity with which they work. Some folks will begin to seek the assistance of psychics or mediums, and suddenly find that they are experiencing all kinds of strange and destructive things. Severe depression, suicidal thoughts, and even uncontrolled anger or rage are common to those who begin to play with spiritual matters which they do not understand. Once a strong man has come upon the scene, people can become wildly jealous, envious, murderous, or self destructive. Only God knows what Paul was in for. Thankfully, he and I met before these spirits had the opportunity to work their plan. The Bible tells us that paranormal and supernatural activity will be on the increase during the last days, leading up to the unveiling of the antichrist who shall possess great powers of his own. Much of what we see happening today, on television and in the media is an attempt on the part of Satan to desensitize the masses to the supernatural, and to increase his presence and ability to work in the world by causing people to open doors and invite him to become involved in their lives, knowingly, as well as unwittingly. We cannot afford to play games with these very real spiritual powers.